Wouldn’t you like your teeth to stay beautiful and bright indefinitely? Porcelain veneers offer a modern and durable alternative to crowns or orthodontics. Using porcelain veneers, Dr. Ang can alter the color, shape, and size of teeth, creating a dramatic cosmetic enhancement by masking defects such as chips, stains, and misalignment. An increasingly popular procedure, porcelain veneers are ultra-thin custom made shells of porcelain that are bonded to the teeth to create a beautiful and naturally pleasing smile. Porcelain veneers are very durable and highly resistant to staining, making them the ideal choice for closing gaps, or masking discoloured teeth that did not respond well to whitening procedures. With customized porcelain veneers from Dr. Susie Ang, you can achieve a “nip/tuck” for your smile with a natural look and feel. 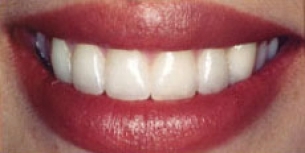 Porcelain veneers can also be both conservative and the best way of getting a total smile makeover. Porcelain veneers do not require any special maintenance aside from your regular dental routine of brushing and flossing. To determine if you are a candidate for porcelain veneers, Dr. Ang will first conduct a thorough examination of your teeth. She will also take the time to listen to your concerns and desires. It is important for Dr. Ang to understand what each patient would like to achieve, in order to create the best possible results with a personalized touch. If she determines that porcelain veneers are the best option to meet your dental needs, she will have your veneers custom-designed to provide you with results that look and feel as natural as possible. 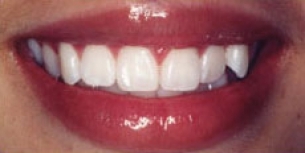 Porcelain veneers are ultra-thin ceramic shells that are highly resistant to staining. They cover only the front part of your tooth, and they are designed to be extremely durable. 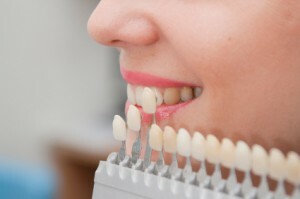 To help ensure that your veneers will appear natural, they will be carefully shaped and tinted to match your surrounding teeth and harmonize with your skin tone to achieve an overall pleasing smile. Your new porcelain veneers should continue to enhance the look and function of your teeth for years to come! For more information about porcelain veneers, or to schedule a consultation with Dr. Susie Ang, please contact us today.